Mattis Seeks To Ban Cellphones From Pentagon - Joe.My.God. 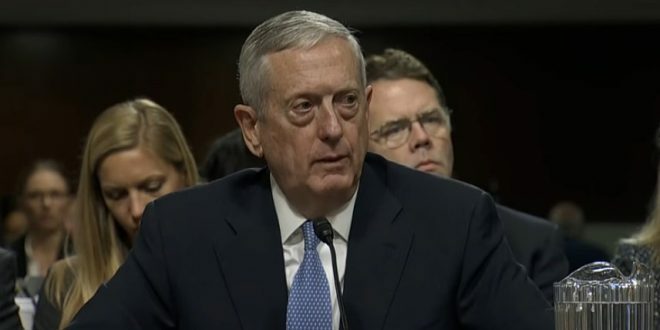 Secretary of Defense James Mattis is actively considering banning US military and civilian personnel from bringing their personal cell phones into the Pentagon, the world’s largest office building, according to three US defense officials familiar with an ongoing review of the issue. The officials told CNN that while the issue is under review and a final decision has not been made, the recent revelations that a fitness tracking app that maps people’s exercise habits could pose security risks for US troops has only underscored the need for the review. The officials added that the review was ordered after Mattis expressed his intent to ban personal cell phones in the Pentagon. A defense official told CNN that the intelligence about the risk of cell phone vulnerabilities that drove the Pentagon’s review is the same intelligence that helped lead to a similar ban of personal cell phones among White House staffers in the West Wing, a ban that went into effect this month. Sensitive information about the location and staffing of military bases and spy outposts around the world has been revealed by a fitness tracking company. The details were released by Strava in a data visualisation map that shows all the activity tracked by users of its app, which allows people to record their exercise and share it with others.